December is typically a wintry month well-suited to Holiday-themed content, but apparently nobody told Amazon Prime about our human traditions. The streaming service clearly couldn’t care less about holidays or wintriness, as its offerings in December could just as easily be coming in one of the loser months like May or August—at least thematically. 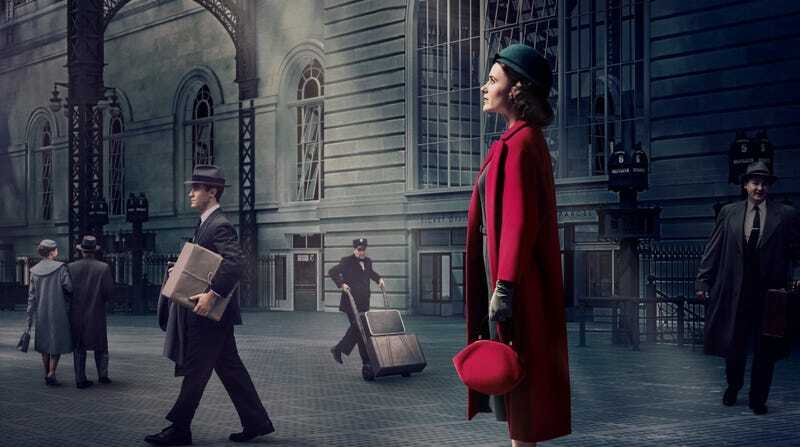 That’s not to say that the offerings are bad, though, because they do include season two of the many-Emmy-winning series The Marvelous Mrs. Maisel, season one of an adaptation of Vanity Fair, comedian Eugenio Derbez’s LOL: Last One Laughing (which is about comedians competing to see who can laugh the least), and This Is Us creator Dan Fogelman’s Life Itself (though it’s debatable if that one is any good). Other than that, Prime subscribers will be able to stream A Clockwork Orange, All The President’s Men, Boogie Nights, Groundhog Day, Mars Attacks!, the old Teenage Mutant Ninja Turtles, The Dark Crystal, Evan Almighty, Iron Man 2, and Hereditary, most of which have barely anything to do with either holidays or winter. The full list of what’s coming to Prime in December is below.